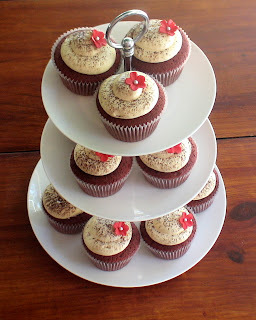 I am now officially in love with Red Velvet Cupcakes! 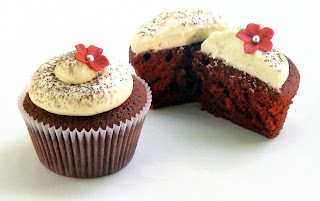 Tender crumbed, light + slightly chocolatey with a stunning red tinge, these beautiful cupcakes are "HEAVEN" especially when enswirled with Vanilla Cream Cheese Frosting. A whisper of unsweetened Dutch Cocoa dusted over the top and a little decoration makes this treat utterly divine. 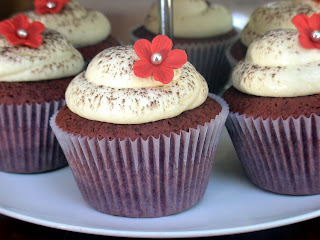 An absolute on the "Must try" list even those who aren't so keen on Chocolate Cake.